Held at The Canopy at Raintree from 16th to 18th September, the event will bring together a wide range of like-minded people who are passionate about making a positive impact on education. Over the weekend, attendees will be fully immersed in sharing ideas, creating groups, crafting products, and of course, launching education or edtech startups. Participants will get the opportunity to rub shoulders with coaches and mentors ranging from a diverse background of experiences, such as Monirath Siv, CEO & co-founder of Teach for Cambodia, and Kagnarith Chea, co-founder of Edemy. On Friday night, Startup Weekend Education will kick-off with open-mic 60-second pitches. This will lead to the formation of small groups around the top, most feasible concepts. During the weekend, teams will then work on proving the substantiality of their idea, by consulting users, creating prototypes, and crafting a business plan alongside experienced coaches from the education sector. Sunday will see groups presenting and showcasing their final products in front of a live panel of expert judges. These judges include Stephen Paterson, co-founder and Program Coordinator of the Mekong Business Challenge, Nataly Rodionova, Managing Director of IT Academy STEP, Glenn Miller, Consultant in the Banking and Telecoms industries, and Bolene Pech, President and CEO of The Westline Development Group. If you are someone who is passionate about making a difference in education and have always had an idea to improve this sector, then you should definitely join this event! From educators, designers, developers, parents, and students to business / non-profit professionals, you will gain access to a ready community of people who want to make an impact in education. Find like-minded people with complementary skills to work with, and gain knowledge on the basics of founding and launching a successful education or edtech startup. Or come for the experience and the joy of the jam-packed weekend, and get your creative juices working! Get your tickets here today! 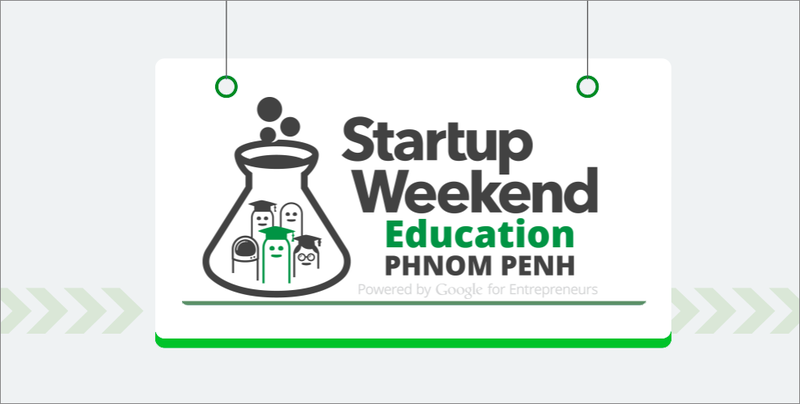 For more information, visit http://www.up.co/communities/cambodia/phnom-penh/startup-weekend/8352.